The Philippines is not known internationally for its ability to win and compete on the international stage in sports. This does not stop the country participating and enjoying sports especially Basketball. The youth of the country (males) will be playing this day and night and anywhere where a basketball can be bounced on a hard surface. There is no doubt that this influence comes from the USA and although not many players make it to the top of the USA teams, the games is truly beloved by Filipinos. Locals are basketball crazy here as you see them walking around in basketball shorts and shirts with the names of the NBA Stars printed on the back. Every town and even small villages will have a basketball court even if it is just a couple of homemade basketball hoops nailed to a tree. The PBA was founded in 1975 and consists of 10 teams sponsored by big corporations such as San Miguel, Powerade, Talk ‘n Text etc… Nearly all games are played in Manila and the players are household names. Araneta Coliseum or Cuneta Astrodome normally host games on wed-fri-sun from October through to July and tickets are extremely cheap from a little more than 10 pesos, up to 600 for a ringside seat!! Here’s the History of Philippine Basketball… I made this one a long time ago and published it in Wikipedia but I’m pretty sure nobody here will believe me but its all good… I hope you guys can add more infos because I only have limited sources for this and that some of you got better knowledge about Philippine Basketall as a whole than me… add some corrections as well… Cheers! The Philippines is not known internationally for its ability to win and compete on the international stage in sports. This does not stop the country participating and enjoying sports especially Basketball. The Philippines was among the world’s first basketball-playing nations; and Filipinos are some of the world’s most avid followers of the sport. The Philippines is the home of the world’s second oldest (and Asia’s first) professional basketball league, the Philippine Basketball Association (PBA) which has for 30 years helped to shape the history of Philippine basketball. Before the professional era, the Philippines national basketball team dominated basketball in Asia, being some of the world’s best in the 1950s. Today, basketball is the most beloved and popular entertainment in the Philippines, and is widely reputed to be the national sport of the Philippines. Around 1898-1900s, the Americans’ Young Men’s Christian Association (YMCA) introduced the newly invented sports of “Basketball” in the Philippines. During this period, football (soccer) was the most popular sport in the Philippine Islands due to its history as a Spanish colony (influenced by British sailors from Hong Kong), even during the Far Eastern Games. Nevertheless, basketball went on to replace soccer (football) with other American sports like baseball. 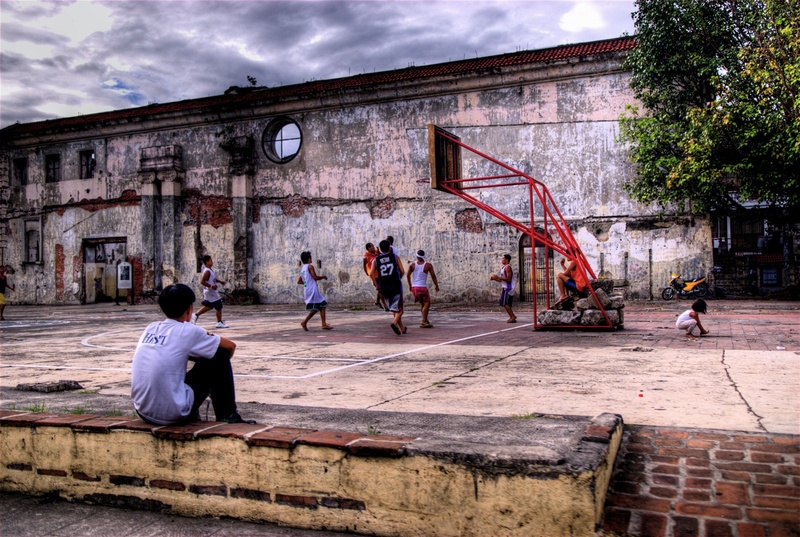 According to historian and national artist Nick Joaquin, basketball was first introduced to Filipinos within the historic walls of Intramuros, Manila. From the 1910s to the early 1930s, the Philippines dominated the Far Eastern Games basketball tournament winning 9 of 10 basketball championships. In 1936, the Philippines played in the Berlin Olympic Games basketball tournament, the first time basketball played as an official sports. The Philippines started the tournament winning two in a row beating Mexico and Estonia but lost to the United States in the quarterfinals. The Philippines went on to beat Italy and Uruguay to finished fifth in the tournament with a 4-1 record. The 5th place finish was the best finish by an Asian country in the Olympic Games men’s basketball tournament. If not for controversial rulings, the Philippines could have at least won silver or bronze medal. In 1938, the Manila Industrial Commercial Athletics Association (MICAA) was formed and went on to dominate Philippine basketball for almost 40 years. In the 1950s, the Philippines was among the best basketball team in the world after winning two consecutive Asian Games basketball gold medals (1951, 1954). Despite missing the first FIBA World Championships (1950) in Argentina, the Philippines participated in the 1954 FIBA World Championship held at Rio de Janeiro, Brazil. The Philippines finished third in the table after finishing third in the Final Group, and captured the bronze medal. The third placed-finished was the best finish by an Asian country in the world championships. Carlos Loyzaga finished as the world tournament’s third leading scorer (148 points/16.4 points per game) and was named in the FIBA World Mythical Five Selection. Before the end of the decade, the country retained the Asian Games basketball gold medal in 1958. 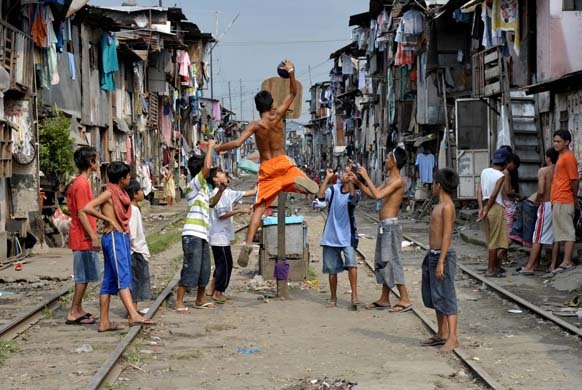 During this period, the Philippines also consistently playing in the Olympic Games basketball tournament since 1936. Meanwhile, the Philippines won the right to host the third FIBA World Championship but were suspend after then President Diosdado Macapagal, father of current President Gloria Macapagal-Arroyo, refused to issue visa to players from communist countries (notably basketball powerhouse Yugoslavia and the Soviet Union). In the Asian Games, after Carlos Loyzaga’s retirement, the Philippines dominance decline but continues to play competitively in the Asian and WorldChampionships. While in the Olympic Games, the country played poorly without reaching the top 10. The 1970s – 1980s witnessed the birth of the Philippine Basketball Association (PBA), founded in April 1975, and the Philippine Amateur Basketball League (PABL) in 1983, both leagues replaced the 34 year old MICAA. In 1978, the Philippines hosted the FIBA World Championship and finished 8th in the tournament, despite losing all its games. 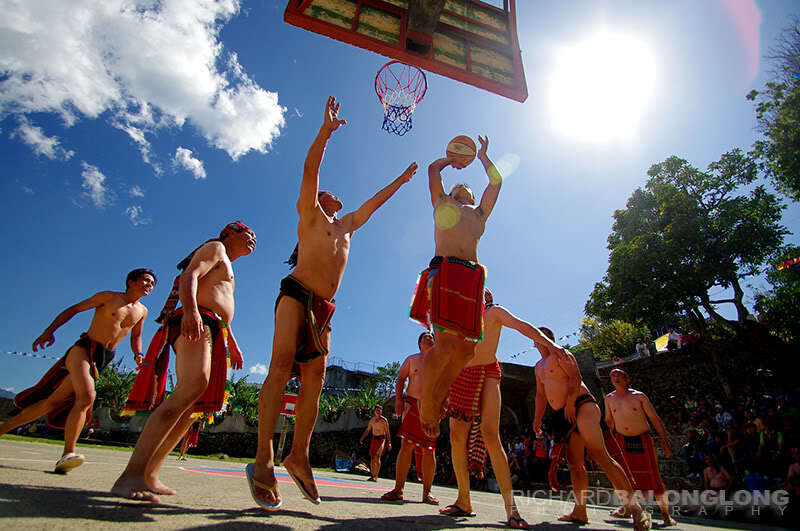 The event was the firstWorld Basketball Championship ever to be held in Asian soil. In the 1980s, San Miguel Philippines won the FIBA Asia Club Championship (1984) and earned the right to play in the FIBA World Club Championship (where the team finished third in 1985). The team also captured the William Jones Cup championship. In 1985-1986, the Philippines won its fifth FIBA Asia Championship and earned the right to play in the 1986 FIBA World Championship held at Madrid, Spain. The team failed to play in the world championships due to political crisis, the Philippine People Power Revolution. Later in 1986, the Philippines captured the bronze medal in the Asian Games after a controversial semi-final loss to South Korea. American shooting maestro Arthur Engelland, Hector Calma and Allan Caidic, bannered the San Miguel Philippines and national teams in 1984-1986. In 1990’s, the Philippines sent an all-professional national teams in the Asian Games basketball tournaments. The PBA was given the task to reclaim basketball supremacy in Asia but was limited by the national association, the Basketball Association of the Philippines (BAP), to play just in the AsianGames. The first all-professional national team was formed in 1990, coached by the “Living Legend” Robert Jaworski and the team was bannered by PBA superstars Alvin Patrimonio, Avelino “Samboy” Lim and 1990 PBA Most Valuable Player Allan Caidic. The dream team finished second and captured the silver medal after losing to China in the finals. Samboy Lim was named in the Asian Games basketball all-star mythical five selection. In 1994, San Miguel Beermen captured the PBA All-Filipino Cup and earned the right to represent the Philippines in the Asian Games. The team also included loaned PBA players and amateur standouts. The PBA-San Miguel Philippines finished fourth place after losing to China and Japan in the play-offs. Allan Caidic, Asia’s most feared Filipino player, finished as the Asian Games’ leading scorer and was named in the Asian Games All-Star Mythical Five Selection. In 1998, the PBA formed the celebrated Philippine Centennial Team who later captured the 21st William Jones Cup championship and the bronze medalin the Asian Games held at Bangkok, Thailand. The centennial celebrations also witness the birth of the Metropolitan Basketball Association (MBA), the country’s second professional league. In 2000, the Philippine Basketball Association (PBA) celebrate its 25th anniversary and named the “Top 25 Greatest Players Ever of All Time”, the top 25 were – Johnny Abarrientos, William “Bogs” Adornado, Ato Agustin, Francis Arnaiz, Lim Eng Beng, Ricardo Brown, Allan Caidic, Hector Calma, Philip Cezar, Atoy Co, Jerry Codiñera, Kenneth Duremdes, Bernard Fabiosa, Ramon Fernandez, Danny Florencio, Alberto Guidaben, Freddie Hubalde, Robert Jaworski, Jojo Lastimosa, Samboy Lim, Ronnie Magsanoc, Vergel Meneses, Manny Paner, Benjie Paras, and Alvin Patrimonio. Later, the PBA All-Star beat the FIBA Asia All-Star Selection lead by MBA superstar Rommel Adducul. 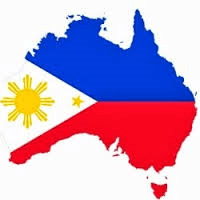 Loving a Filipina Facts about the Philippines Part 3 Want to Live in the Philippines? Where to go in the Philippines?